Real nice sorrel colt with a lot of white hairs in his flank and a streak face with white socks. 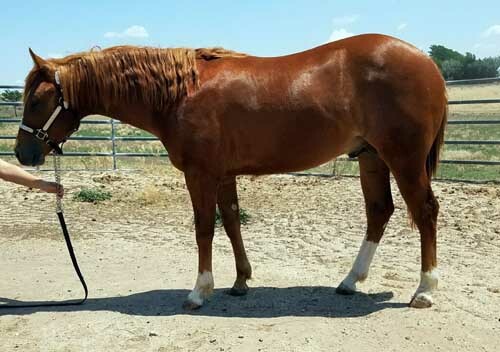 This colt is well balanced and correct and moves around nice. His sire won $128,254 NRHA and won 22 AQHA points. His dam won $17,000 NCHA. Here is a legitimate snaffle bit on NRHA Futurity prospect. he is enrolled in the NRHA nomination program and the NRBC. He will be eligible for the 2020 High Plains Ranchers & Breeders Association Futurity.